This page has all the information you need to know about the financial requirements for retiring to South Africa. South Africa, the rainbow nation and holder of some of the worlds most iconic scenery, wildlife and natural attractions, offers an extremely friendly environment for international retirees. Firstly, and importantly, there are no age restrictions and applicants are not assessed according to their age in any way. So whether you are an early retiree or a late retiree, the criteria remains the same and there is no prejudice against your application. Secondly, there are no requirements to buy property, bring in certain amounts of money or indeed invest into government or provincial schemes. Of course there are the normal retired permit application requirements but the additional supporting documentation all revolves around your ability to financially support yourself. 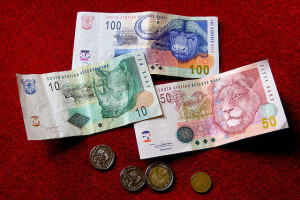 So what are the Financial requirements for retiring to South Africa? Or a similar investment vehicle with a life time guarantee. A combination of the two. For example ZAR 20,000 per month guaranteed income and R896,000 as an available lump sum (for a 4 year temporary visa). Please note that the financial requirements for retiring to South Africa on a temporary retirement visa apply to only the main applicant. Therefore spouse or recognised partners are added to the application on an accompanying basis. The how much for permanent residency on a retired permit is purely income based. Once again it must be a guaranteed income for life and the how much remains at ZAR 37,000 per month per applicant. Once the first applicant has obtained residency their spouse or partner can then apply for a partner permit (spousal or life partner). Applications for financially independent permits do not rely on any regular or guaranteed income. South Africa recognises that many individuals now shy away from traditional pension schemes and self invest for their retirement years. As such this option allows for a permit application to be made based on the individual’s net worth. It is also one of the only permit categories that leads straight to permanent residency. The amount required to apply for a financially independent permit is a net worth per applicant of ZAR12,000,000 (12 million rand). Where one applicant holds the required R12 million and the other does not, it would become a two step process whereby once the first applicant has obtained residency their spouse or partner can then apply for a partner permit (spousal or life partner). Intergate Immigration has assisted hundreds of retirees to obtain their retirement permit to settle and stay in South Africa. With over 30 staff able to communicate in 7 different languages (including German, French, Spanish, Dutch and English) we are confident we offer the most comprehensive permit and relocation service to South Africa for retirees. We also are South Africa’s only immigration consultants who hold ISO 9001, reassuring of clients of our commitment to service standards, processes and client focus. You can verify whether you meet the financial requirements for retiring to South Africa free of charge and with no obligation by contacting us today.